The NordicTrack FreeStrider 35 Si Elliptical is packed with features that will help manage fitness and nutrition. By using iFit workout technology which connects to your home internet you allowing you to personalise programmes and workout with online buddies. The fully compatible console works with the iFit Live module which will give you exercises that will last for weeks on end. The long stride length of 35 inches allows for individuals of any size, short of tall. Depending on height or intensity the individual can choose a stride length that is comfortable. The FreeStrider makes zone training easy with sensors built into the hand grips or by using a wireless chest strap which communicates directly with the console. Zone training can be beneficial with weight management. 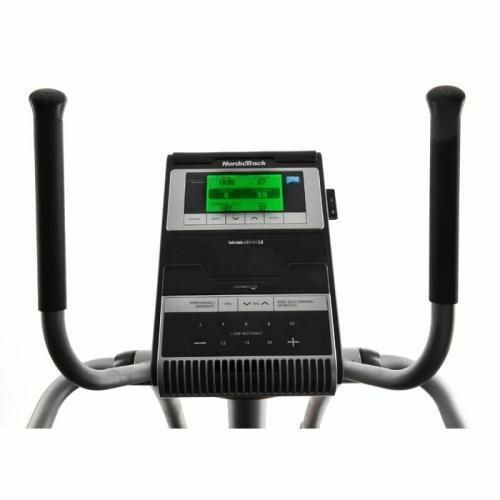 Some additional features on this machine are its built in sounds system where you can hook up your portable MP3 player which makes training fun. The cooling fan keeps you cool during your toughest exercises. What is more, NordicTrack FreeStrider 35 Si Elliptical tracks calories used, heart rate, distance travelled and speed and displays this through its high-resolution, green-lit Grafixx display. Stride: 35" Length FreeStrider motion ensure you will always be training to a maximum. Vary the stride length as you use the machine to target different areas. Follow the on-screen stride ladder to be sure of exactly how far you are reaching. Backlit LCD Display : The bright backlit LCD display provides you with your training feedback stats and includes a stride length ladder to show how far you are stretching. CoolAire workout fan, Intermix speakers and iFit Live WiFi module dock also feature. Resistance: Get the most out of your workout with 16 different levels of resistance, making sure you can work to specific goals and targets. In Home Warranty: Lifetime frame, 2 years parts and labour on site manufacturer's warranty for total convenience and peace of mind if registered within 28 days of purchase. (12 month standard warranty if product not registered within 28 days of purchase). 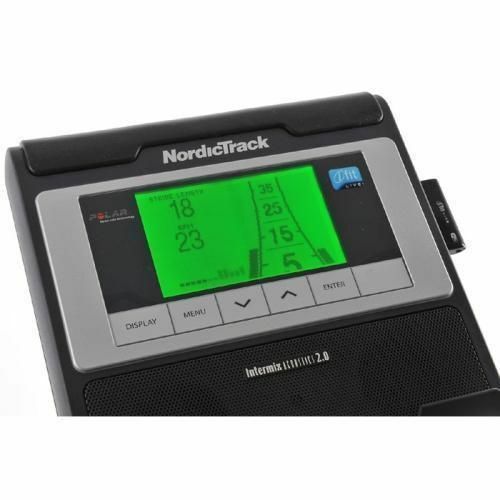 for submitting product review about NordicTrack FreeStrider 35 Si Elliptical.